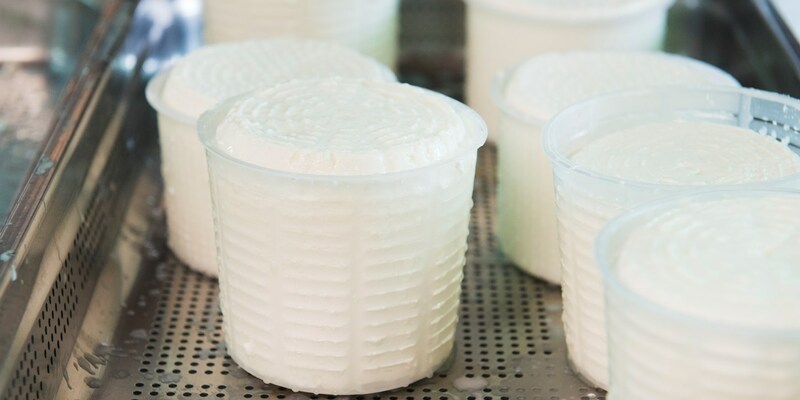 Ricotta is an Italian curd cheese that can be made from the whey of sheep, cow, goat or buffalo milk. Soft and creamy in texture, ricotta (which literally means ‘recooked’) has a mild, slightly sweet flavour, making it useful in both savoury and sweet recipes. Ricotta and tomatoes are one of the most classic Italian pairings, with the sweet, slightly acidic tang of tomato perfectly complementing the ricotta’s delicate, pure flavour. Andrea Migliaccio serves buffalo ricotta with a delicately balanced Passata of San Marzano tomatoes, with this famous Italian tomato also topping Rosanna Marziale’s creamy Ricotta and mozzarella risotto.